The Dar Eternity height adjustable 10 light crystal pendant in polished chrome is contemporary and features a circular ceiling mount and adjustable height telescopic drop rod, with four delicate interlocking rings decorated with high quality faceted square crystals that sparkle when lit. The arms can be moved so you can customise the look to suit your room. 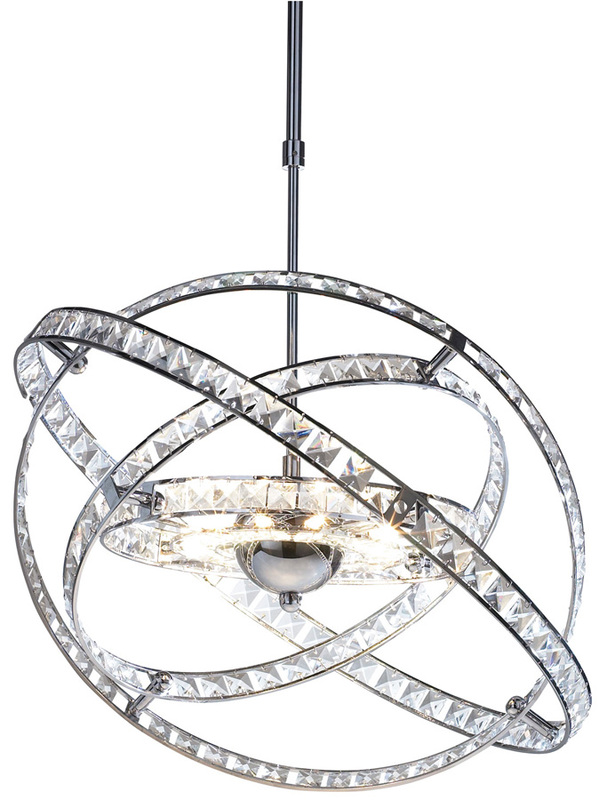 Comprising a series of faceted crystal glass rings orbiting a central polished chrome sphere, this pendant is stunning and worthy of taking centre stage in practically any room. Suitable for over a dining table, hallway, bedroom or living room with sufficient ceiling height. This contemporary ceiling light is adjustable in height from 88cm to 106cm at the time of installation only. 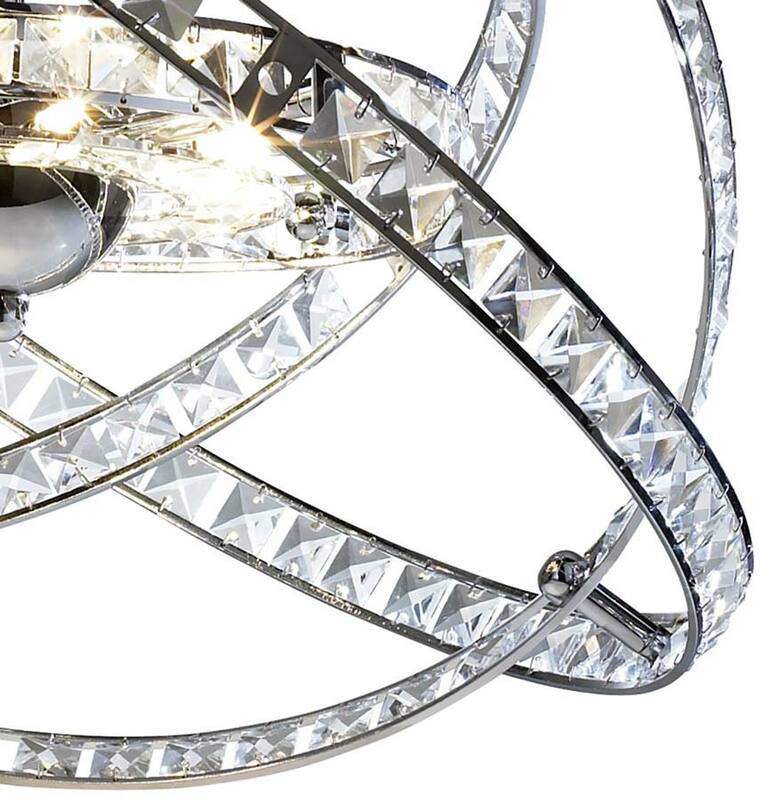 Takes bright low voltage lamps (not supplied) that fit into the central chrome globe and shine outwards through the crystal rings for maximum sparkle . Other products in the Eternity range can be viewed below and include long and short drop pendants, table and floor lamps, a flush ceiling light and matching wall light.